Check here for news and updates concerning NPORA's website and forum. This is our new member section. Everybody is encouraged to introduce yourself and let us know a little something about you here. Welcome! 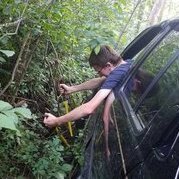 Submit your Pathfinder for Truck Of The Month! Pull into the NPORA Garage to fix your Pathfinder. Anything off-topic, not necessarily about Pathfinders. Keep it clean! 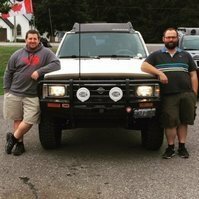 This is the place to post about your SAS or any custom fabrication you've done to any Pathy. Forum for 1996-2004 R50 Pathfinders. Forum for 2005-2012 R51 Pathfinders. Forum for 2013+ R52 Pathfinders. Deals and specials on parts or accessories from NPORA Vendors. Offer your appropriate services to NPORA members. 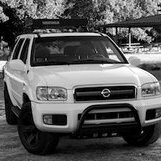 Sell your Pathfinder Parts or Off Road Parts here. Got something that you want to give away? List it here. Looking for parts? Post your requests here to see who's got what you're looking for. If you have news of an upcoming event. This is the place to let us all know about it. Wake up! This ain't the America I remember!